It’s fall and with the cooler weather, it’s time to get back to baking. 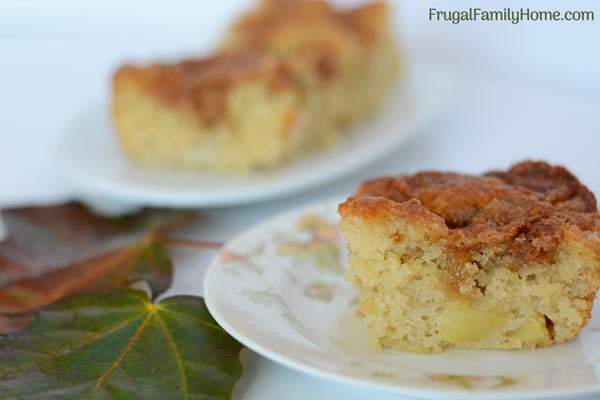 This apple cinnamon coffee cake is the perfect fall recipe to bake for your family. 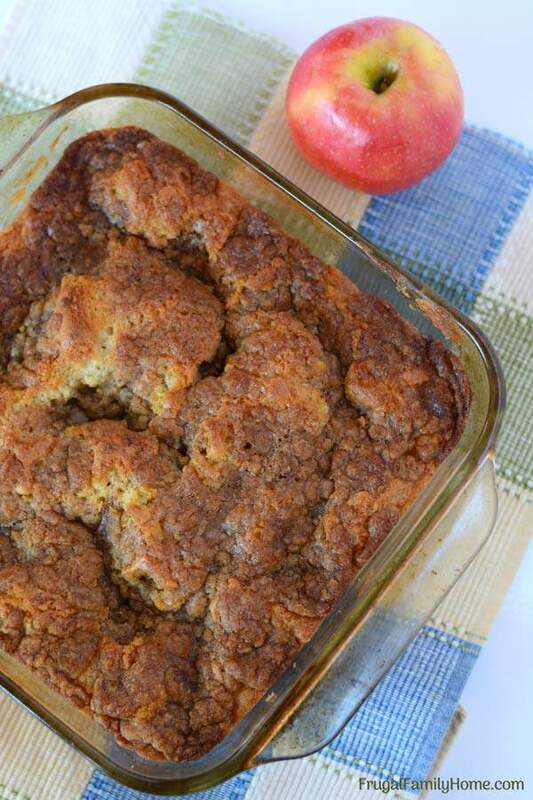 Apple and cinnamon just seem to go together so well. The warm spicy scent of the cinnamon mixing with the sweet yet tart flavor of the apples just screams fall. Well, that is until we get into pumpkin season. I can just smell the wonderful aroma from this apple cinnamon coffee cake recipe as I take it out of the oven. Plus this is an easy coffee cake recipe from scratch that only takes about 10 minutes to mix up. If you have apples and some basic baking ingredients you can make this cinnamon apple coffee cake from scratch in no time. This coffee cake recipe is perfect for a warm sweet breakfast treat or a yummy dessert when you have guests stop by. I’ve included the ingredients listed below but if you keep scrolling, you’ll find the printable recipe, a quick video tutorial of the full recipe and tips on how to make a coffee cake from scratch. If you need to eat dairy free I’ve included dairy free and egg free options too. If you don’t have to eat dairy free, feel free to use milk and butter in the recipe instead. Make the crumb topping first. Mix the brown sugar and flour first. Cut the cold butter or margarine into cubes and add to the bowl. Use your fingers or a fork to cut in the butter to make the crumble topping first. Refrigerate until ready to use to keep the butter cold. Put the dry ingredients in a bowl and stir with a whisk to incorporate them well. Then toss the apples with the dry ingredients. This will help the apples to not stick together. Make a well in the middle and add the liquid ingredients. Using a spoon or spatula, mix until the dry ingredients are moistened. Don’t over mix or the cake can be tough. Spoon the batter into a greased pan and sprinkle the crumble topping on top of the batter. Make sure to cover the whole top, some will sink as the coffee cake bakes. Bake on the middle rack in the middle of the oven, until toothpick comes out clean and it’s golden about 40 minutes. In a medium bowl, mix the brown sugar and sugar together. To the sugar mixture add the cinnamon and flour and stir to combine. Cut the margarine or butter into small squares then add to the brown sugar and flour mixture. Set aside in the refrigerator until ready for it. In a large bowl, add the dry ingredients and mix with a whisk to incorporate it well. Add the diced apples to the dry ingredients and toss to coat the apples. Make a well in the dry ingredients and add wet ingredients. Using a wooden spoon or spatula mix until all the dry ingredients are moistened. But don’t over mix or the cake could be tough. Spoon the batter into a greased 9-inch pan. Sprinkle the crumble topping on top of the batter. Bake 400 degrees until toothpick comes out clean when checked in the center and the cake is golden. Mine cooked in 40 minutes. 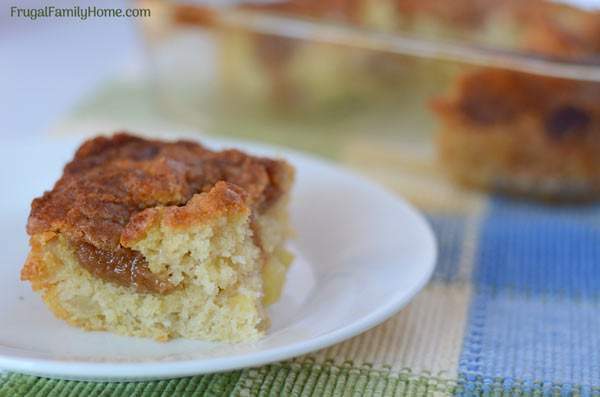 How Much Does it Cost to Make Apple Cinnamon Coffee Cake from Scratch? 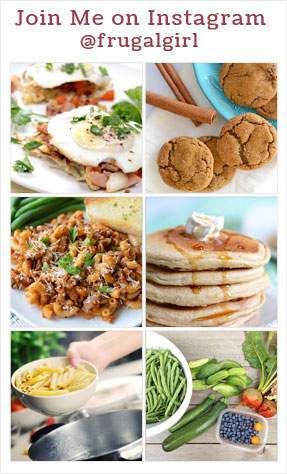 Knowing how much recipes cost to make helps to keep you in control of your grocery budget. When things are tight you can make less expensive meals, when you have a little more wiggle room you can opt for a more expensive meal here and there. 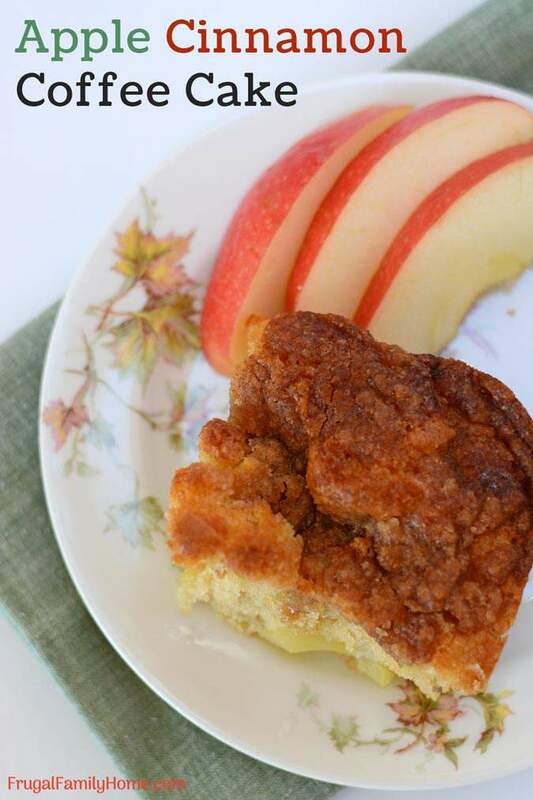 This apple cinnamon coffee cake is made from scratch so it’s more of a budget breakfast cake or dessert. 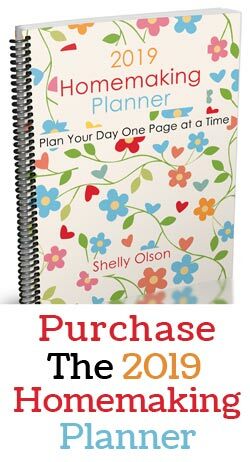 I find when I make items from scratch I can really save money over the ready made store bought items. And it really doesn’t take that long to bake many items at home. To determine the cost of this easy coffee cake from scratch I used everyday grocery item prices from my local Winco Food store. Winco Foods usually has the best everyday prices for our area. But the actual cost of your coffee cake might be a little higher or lower depending on the price of each item. The total cost of this recipe ends up being $1.57 for the full recipe or just $.13 per serving when you cut 12 serving pieces from the square pan coffee cake. 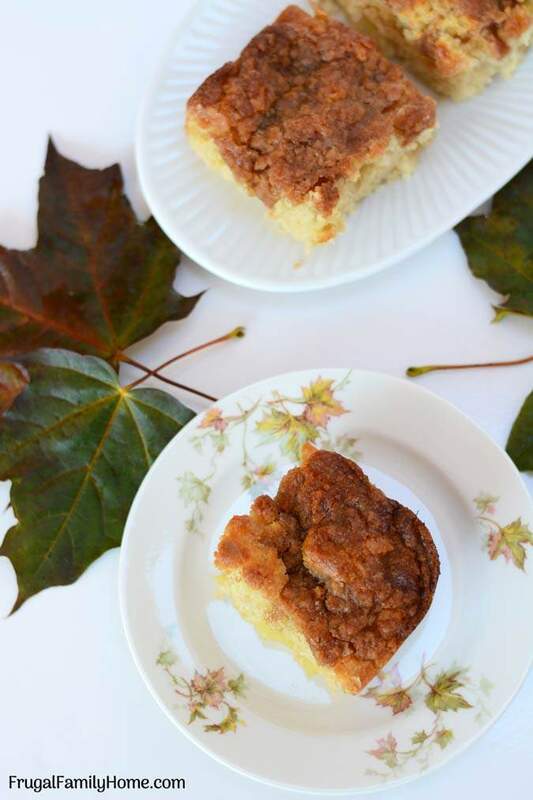 Compare this with the cost of a coffee cake at $5 for about the same size cake and you can see you can save $3.00 plus by making the apple cinnamon coffee cake at home. What’s your favorite sweet treat to enjoy at breakfast? 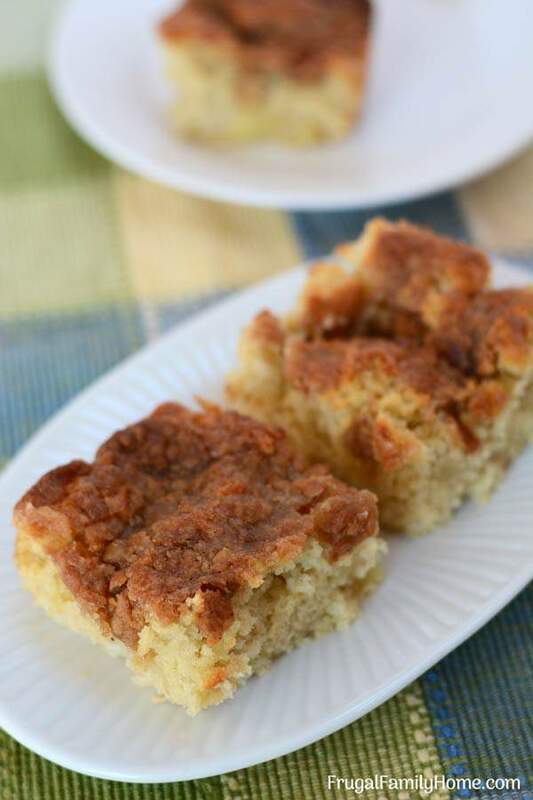 Do you think your family would enjoy this easy coffee cake recipe from scratch? 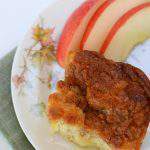 Other Yummy Breakfast Apple Recipes to Try….